Apparently I have been blogging for a year. That flew by fast! I’m not big on celebrations/holidays, so do forgive me for not hosting a giveaway. 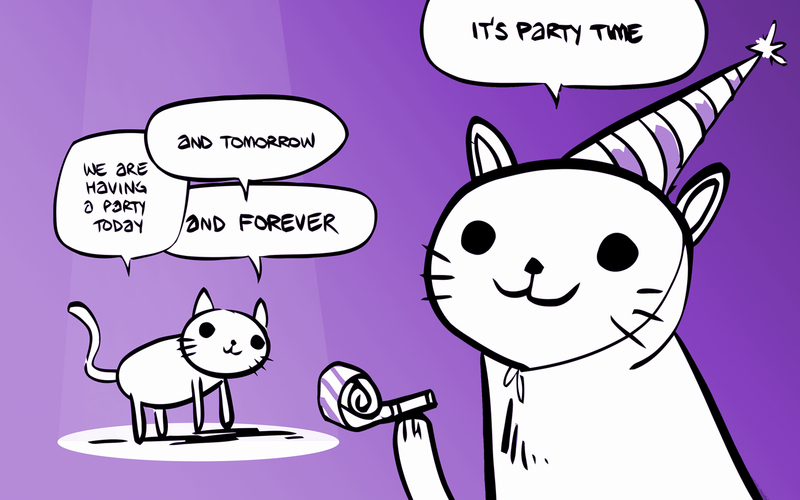 The least I can do is provide you with party cat. Congratulations! I’ve been following your blog since the start, I can’t believe it’s been a year! That’s so nice to hear! 🙂 Thanks for following!